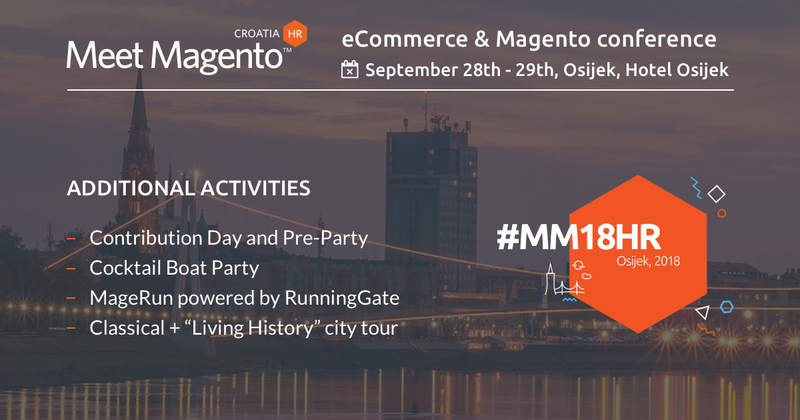 Additional activities at Meet Magento Croatia 2018 – Meet Magento Hrvatska 2018. We are all aware that networking is an important part of the conference and that’s why our team who is in charge of organizing the event has prepared some interesting activities where everyone can find something for themselves. If you always wanted to contribute to the Magento platform, now is your chance, because we are organizing the Magento Contribution Day. On that day, which is often held a day before conference (and this one will not be an exception) developers from all around the world meet in one place and work together while using all of their knowledge and skills to get rid of bugs, various problems or simply improve a specific area of the Magento platform. On September 27th, Inchoo’s office will be that meetup place for all Magento developers who want to actively contribute to the improvements of the Magento platform. We will be accompanied by Volodymyr Zaets from Magento Community Engineering team. If you are interested in contributing, make sure to sign up here! You just need to bring your laptop, we’ll provide everything else! After the official part of the Contribution Day, we’ll have a pre-party starting at 7 PM on our office’s terrace! If you are arriving in Osijek on Thursday, no matter if you’re attending Contribution Day or not, feel free to join us for the pre-party! Following the end of the first conference day – time for an unforgettable Inchoo style party comes! On Friday, September 28, at 8 PM on a boat at this location, Cocktail Boat Party will rock your world! There, you will have an opportunity to party hard and/or to discuss a business in a more relaxed manner, we all know that everything is easier with a few drinks aside. 😉 DJ Omer will be the one responsible for your moves on the dance floor. The boat is on a such a location that one can see one of the most recognizable and the most beautiful symbols of our city that has recently shone with the new glamor, the Pedestrian Bridge. We have prepared some coupons that you will be able to find in the conference welcome packs and that you will be able to use at the party in exchange for some free drinks. The drink choice will be enriched with a large selection of cocktails that will be made by one of the best Croatian cocktail masters. Is there a better way to start of a day and deal with a potential hungover than a 5km race run? On Saturday, September 29, starting at 8:00 AM in cooperation with Running Gate, we are organizing a 5km race run. The starting position will be Hotel Osijek. Winners in the men’s and women’s category will get an award – a Running Gate T-shirt. As a part of this event, all of the conference participants will have an opportunity to try the Running Gate test model shoes. Running Gate will also provide some refreshments for all of the race participants, so you don’t have to worry about it. In order for us to be able to prepare a sufficient amount of refreshment, please sign up for the race through this form. For the end of the conference, we have prepared a tourist tour of the city of Osijek, which will include a theater play that will “revive” the legends of our city in an interesting and an innovative way. Living History is the name of the show and it is an act where the audience, through the interaction with the actors, is being introduced with the history of the Old Town of Osijek and has the opportunity to enjoy revived legends and stories related to specifics locations of the town. The main characters are the “Pandurs” (cops) who have been guardians of the order in Tvrđa for three centuries.